New research by NOAA, University of Alaska, and Woods Hole Oceanographic Institution in the journal Oceanography shows that surface waters of the Chukchi and Beaufort seas could reach levels of acidity that threaten the ability of animals to build and maintain their shells by 2030, with the Bering Sea reaching this level of acidity by 2044. 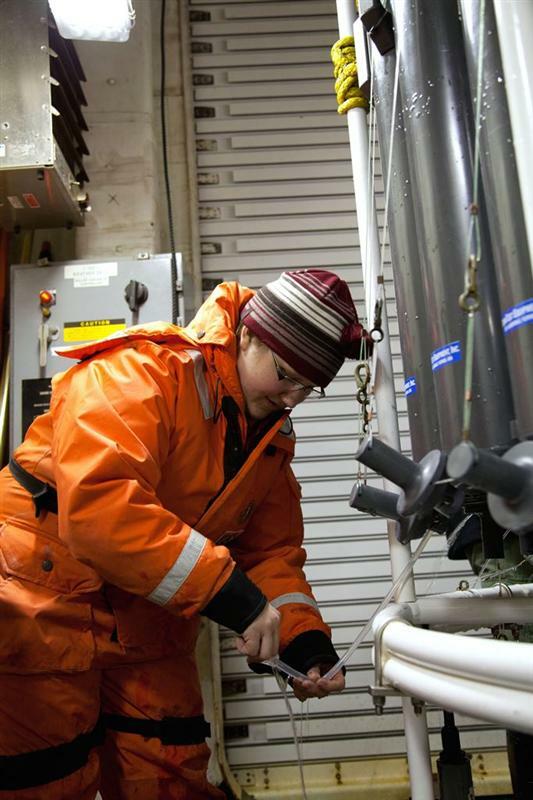 A team of scientists led by Mathis and Jessica Cross from the University of Alaska Fairbanks collected observations on water temperature, salinity and dissolved carbon during two month-long expeditions to the Bering, Chukchi and Beaufort Seas onboard United States Coast Guard cutter Healy in 2011 and 2012. These data were used to validate a predictive model for the region that calculates the change over time in the amount of calcium and carbonate ions dissolved in seawater, an important indicator of ocean acidification. The model suggests these levels will drop below the current range in 2025 for the Beaufort Sea, 2027 for the Chukchi Sea and 2044 for the Bering Sea. “A key advance of this study was combining the power of field observations with numerical models to better predict the future,” said Scott Doney, a coauthor of the study and a senior scientist at the Woods Hole Oceanographic Institution. A form of calcium carbonate in the ocean, called aragonite, is used by animals to construct and maintain shells. When calcium and carbonate ion concentrations slip below tolerable levels, aragonite shells can begin to dissolve, particularly at early life stages. As the water chemistry slips below the present-day range, which varies by season, shell-building organisms and the fish that depend on these species for food can be affected. This region is home to some of our nation’s most valuable commercial and subsistence fisheries. NOAA’s latest Fisheries of the United States report estimates that nearly 60 percent of U.S. commercial fisheries landings by weight are harvested in Alaska. These 5.8 billion pounds brought in $1.9 billion in wholesale values or one third of all landings by value in the U.S. in 2013. 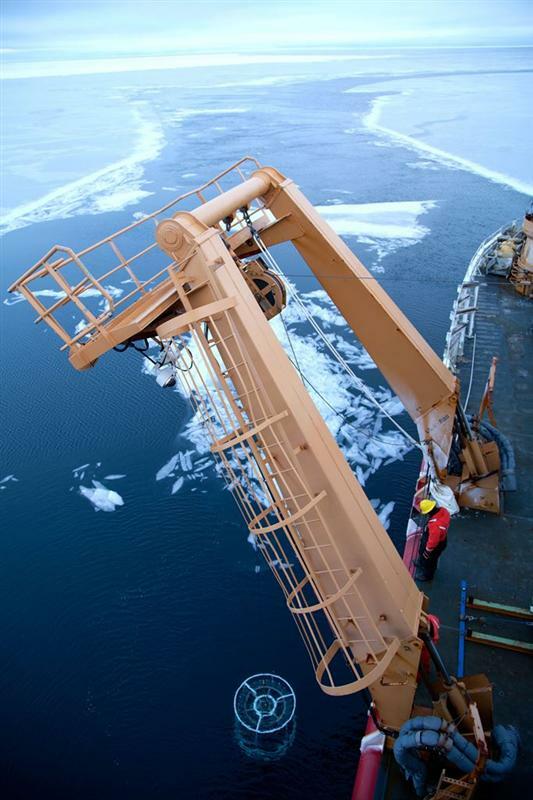 The continental shelves of the Bering, Chukchi and Beaufort Seas are especially vulnerable to the effects of ocean acidification because the absorption of human-caused carbon dioxide emissions is not the only process contributing to acidity. Melting glaciers, upwelling of carbon-dioxide rich deep waters, freshwater input from rivers and the fact that cold water absorbs more carbon dioxide than warmer waters exacerbates ocean acidification in this region.